Become A Dealer Partner And Sell More Trailers Online! Trailers USA's easy-to-use Member Management Console and helpful customer service will have you seeing results instantly! We accept inventory feeds from various vendors such as Channel Blade, IDS, Auction123, Inventrue, Trailer Central, and direct from dealers. MISC Manager to enter sheds, tractors, equipment, generators, vehicles, etc. Is your trailer dealership website need an overhaul? We also have website services available to create custom and EZ-Site designs. 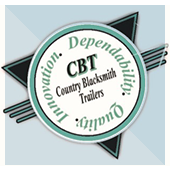 View our portfolio of Trailer Industry websites to see how a professional website can give you a strong web presence.